Few spectacles have the power to inspire and unify people across geographic borders — even fewer reach over half the world’s population. With the 2016 Summer Olympics kicking off on August 5 in Rio de Janeiro, millions of spectators will watch the events unfold in person. 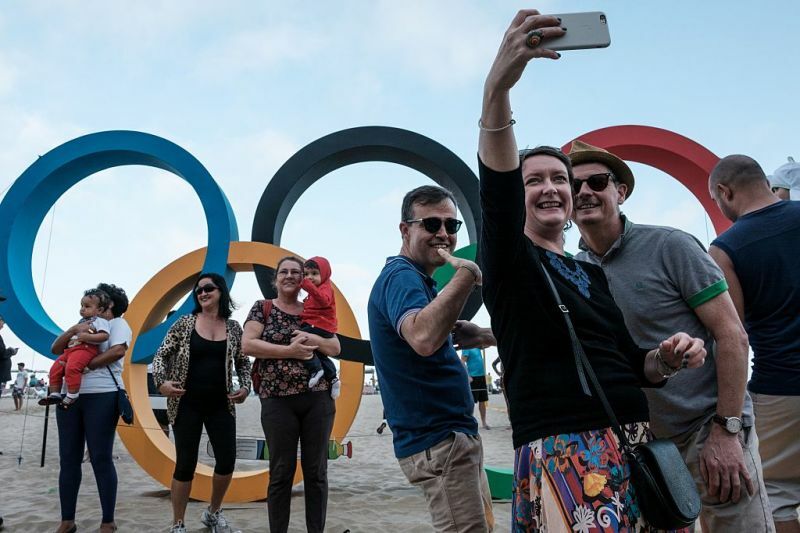 Their audience extends further still in the comfort of our homes: If the upward trend in viewership continues, Rio could surpass London 2012 — which reached 4.8 billion viewers worldwide, according to the London 2012 Olympic Games Global Broadcast Report. The Olympics’ large scope comes with hefty costs. Using data from the Oxford University Saïd Business School, the team at PointAfter, a sports data visualization site powered by Graphiq, was able to compare cost and revenue metrics for Rio 2016 to previous Olympics. In terms of infrastructure and operational expenses, Rio is shaping up to be the least expensive Summer Games since Athens in 2004. These tend to cost more than Winter Olympics (save in the case of Sochi in 2014, when Russia spent $22 billion in non-inflation-adjusted U.S. dollars). Years of investment can add up for countries that pass through the lengthy two-year Olympic Candidature Process. How do host cities fair in terms of ROI? According to data from the International Olympic Committee, most revenue can be attributed to broadcasting and host country sponsorships (which include corporate sponsorships of everything from operational and athlete training support, to advertising and promotional activities). Diving more deeply into how broadcasting revenue has changed over time, the below visualization shows the breakout since Los Angeles in 1984. Following a similar trend to costs, Summer Olympics tend to bring in more broadcasting revenue than the winter variety (over double when comparing Vancouver 2010 to London 2012). Looking back even further, 220 countries and territories have broadcast the Summer Olympics since 2000, with the Winter Games catching up in 2010. This is likely fueling the increase in revenue over time. In the 32-year window between Moscow 1980 and London 2012, the number of countries and territories doubled. In a similar trend, they’re being covered in greater detail than before. Those who tune in to catch any part of Rio 2016 will have plenty of opportunities, with 6,755 hours of coverage planned in the U.S. In contrast, Athens 2004 only received 1,210 hours of coverage, Atlanta 1996 a measly 171 hours. Those who were alive to experience Rome 1960 might not remember much, given it only received 20 hours of coverage. All things considered, it’s not all sunshine and rainbows for NBCUniversal. The network was awarded U.S. broadcasting rights in 2011 for the 2014 through 2020 Games, inking a deal for $4.38 billion. The agreement was extended in 2014 to cover the Games through 2032 for an additional $7.65 billion. Holding the exclusive rights to broadcast Olympic coverage is a coveted honor, with two-thirds of Americans tuning in for London 2012, according to the Huffington Post. NBCUniversal saw negative profit for three of the last five it broadcast. For those who want to experience the competition court side, ticket sales have varied over the years, with the Summer Olympics consistently selling more passes to the ceremonies and sporting events. Atlanta in 1996 sold nearly seven times as many tickets as Lillehammer in 1994. London 2012 sold five times that of Vancouver 2010. While some might argue that these events are just more interesting, affordability might be at play. Looking at ticket prices since 1984 (not adjusted for inflation), they cost more for events in the winter. Vancouver sold fewer tickets than London, and charged $40 more per ticket, on average. Merchandise is yet one more way the Olympics generate revenue. Beijing 2008 was a standout example, with merchandise licensing accounting for $163 billion in U.S. dollars. Like ticket prices and sales, however, there less of a trend over time.